I've been getting a lot of questions about when the new book will be ready. So here's a quick update. The book is progressing exceedingly well. I'm editing/polishing the final chapter. Cover art is in the works. I don't want to give anything away, but the artist I'm working with is ridiculously talented. 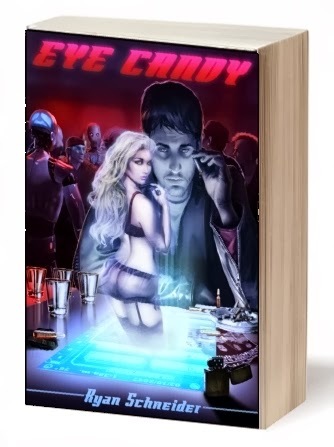 For the folks just joining us, I can tell you that the novel is titled EYE CANDY. It takes place in the futuristic Los Angeles of 2047. 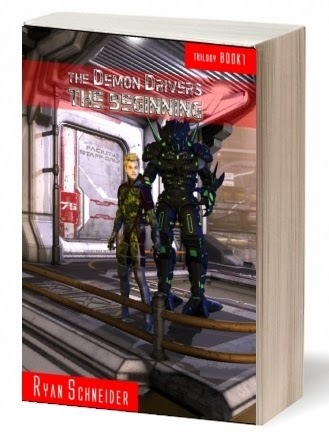 You will be able to find it on the virtual shelf under Science Fiction. It is also a love story. I feel it will be accessible by male and female readers alike. Please note that it does contain some adult content, so it is definitely not YA (Young Adult). For anyone thinking, "Oh, I don't like science fiction! 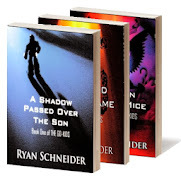 ", I would suggest to you that the beauty of the SF genre is its ability to take us to new places where serious matters can be discussed and explored. We can explore themes such as humanity and technology and how the two intertwine. We can discuss philosophy and the nature of our own existence while discovering a vision of a possible future, one in which air pollution is a thing of the past, cheap renewable energy is commonplace, and robotics is a daily reality as ubiquitous as mobile phones are to us today. Against such a backdrop, Los Angeles in 2047, people still go to work and to the gym and to the sports bar to watch Monday Night Football. They still take the kids to school and pick them up in the afternoon and have to figure out what's for dinner. And they still fall in love and dream of living happily ever after. I'm very excited to see the final product. We now return you to your regularly-scheduled, non-italicized programming.